According to the Middle East Media Research Institute (MEMRI) supporters of ISIS in Egypt posted on Telegram.me a call for Egyptian Muslims to attack and kill Christians and burn their churches and homes in Egypt this Christmas. 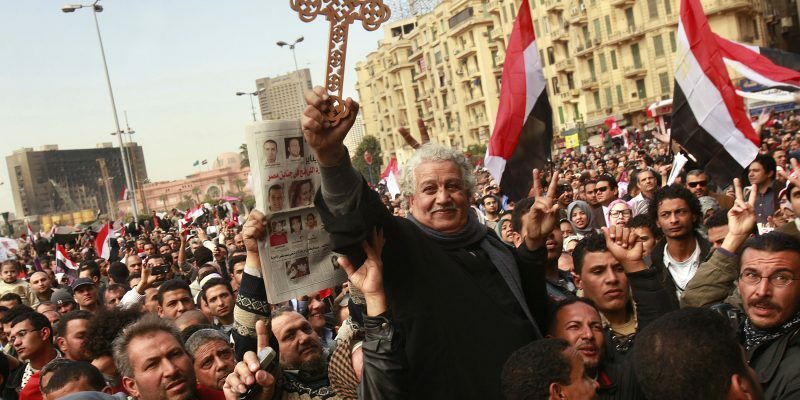 Oh you Muslims in Egypt, the Christians have been insolent toward you. They cursed our prophet and called each other to fight you, and you are sitting! Oh you, have you forgotten who you are? Do you not know that you are their masters and they are the ones [who should be] humbled and subdued? By Allah… if you do not rise up [against them] Allah will increase your humility. So go forth, oh worshippers of Allah, blow up their churches and monasteries, kill their priests and monks, do not show mercy toward any Christian for they are all belligerent toward Allah’s religion. ‘They will never approve of you until you follow their religion.’ So blood for blood, killing for killing. Revive the raids of heroes in Abbasiyah, Tanta and Alexandria until they know who the Muslims are. It quotes two verses from the Qur’an: Surah (chapter) 2, which instruct followers of Muhammad to fight Christians and Jews until they pay the jiyzah (tax) and submit (Surah 2:9), and Surah 2:120.